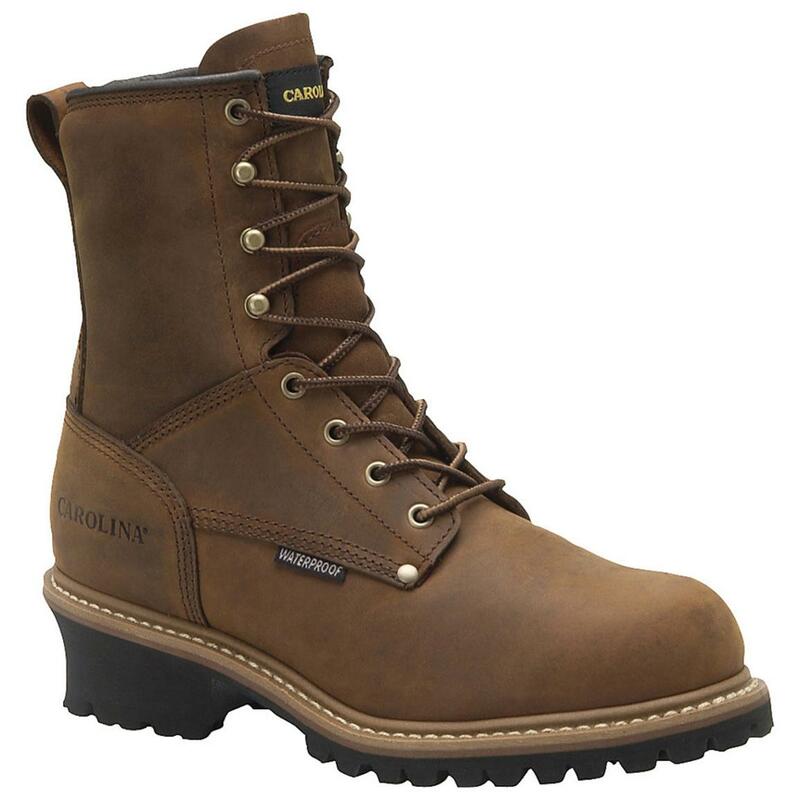 Carolina Footwear® Steel Toe Logger Work Boots Provide the foundation you need for a hard day's work! Waterproof! These Steel Toe Work Boots give you all you need! They're waterproof and moderately insulated to keep out the weather. At the same time tough steel shanks offer extra stability. Sure-grip rubber soles will allow you to plant your feet and keep them where you put them, while ANSI-approved steel toes help you avoid the "crunch" of falling objects. You want serious work boots? Look no further. State Size, as available in Shopping Cart. Order yours ONLINE now! Mens Carolina 8 600 Grams Thinsulate Insulated Steel Toe Logger Boots, Copper is rated 4.0 out of 5 by 2. Rated 5 out of 5 by ADAM from perfect fit and all day comfortable! great boots for a great price!!! Rated 3 out of 5 by ALAN from was excited about getting boots on 10/22/12 because i really needed them ,being i live in north dakota and it is getting cold. was a little dissappointed that i have to wait till 11/11/12 for them to even be shipped. Runs WideA rating of 1 means too narrow. A rating of 3 means too wide. A rating of 2 means normal width. This items average rating is 2.2.